← The Hammer Blow Of Fate! 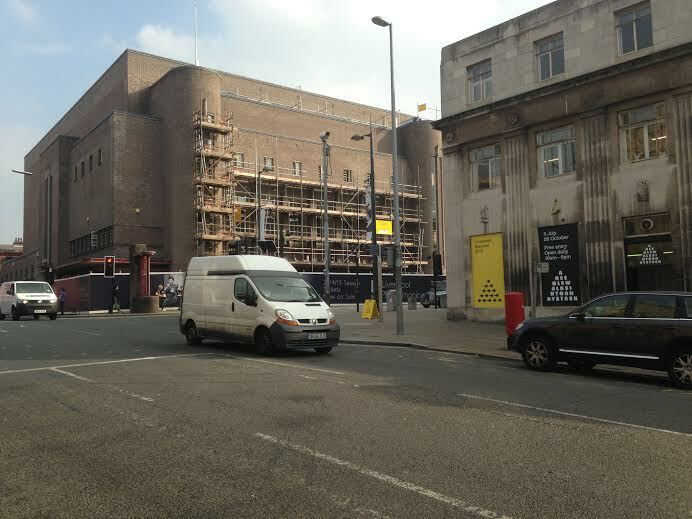 Liverpool Philharmonic Hall has been closed for a major rebuild and refurbishment since May and, although the works are well underway, the building is barely recognisable; with hoarding, scaffolding and the back half of the building temporarily missing altogether, having been completely demolished! 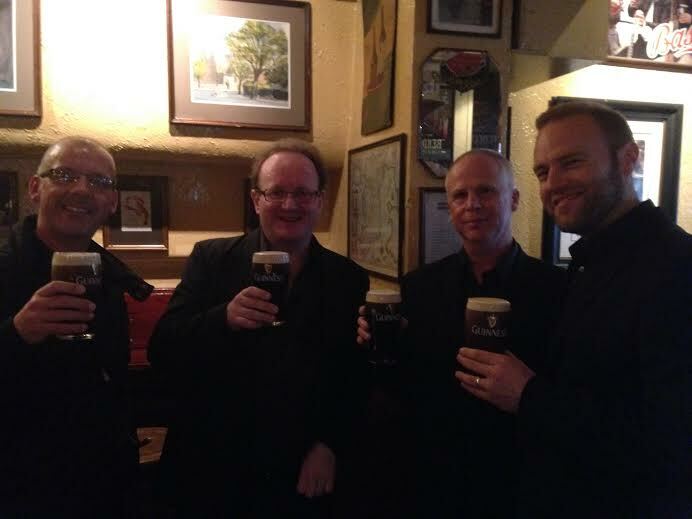 Meanwhile, the RLPO are working harder than ever and have begun an extensive period of touring. Today Dublin, London in a few days and then China for a couple of weeks. Busy, busy, busy! The coach picked the RLPO up at 8.30am from Birkenhead Library and 9.00am from our state of the art refurbished rehearsal premises, The Friary. Apart from a five minute delay for one member having a last minute crisis, off we went. I looked up about four miles (6km) down the M62 and disaster had struck. A massive, multi-vehicle pile up meant that we were stuck at the back of a massive traffic jam somewhere before St. Helens and an awful long way from our initial and rather important destination of Manchester Airport. Many members of the Royal Liverpool Philharmonic Orchestra do not live in Liverpool but in many other places. Unlike me, they prefer to commute. Personally, I have got too used to living just around the corner to go back to travelling a couple of hours a day or more. 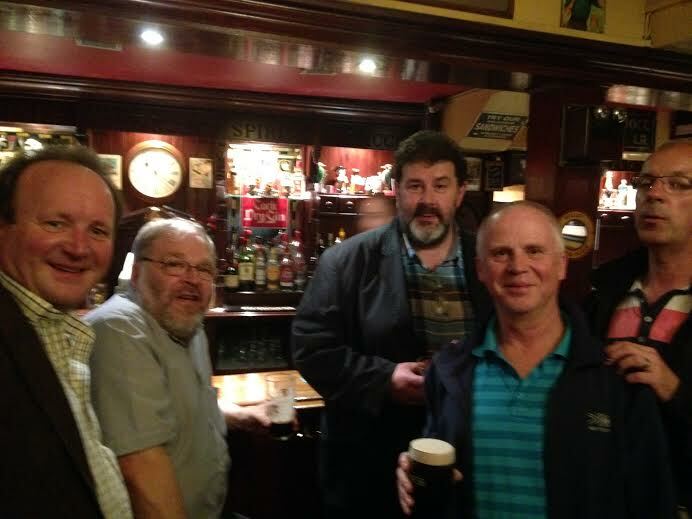 The trombone section, who are all called Simon by the way, all live in Warrington together and decided to head for the airport by themselves. They are pictured above, wondering why they are the only members of a whole symphony orchestra there and wondering whether the trip to Dublin was just a ‘wind-up’ all along. They checked in at 10.00am as planned and, indeed, were some of the very few to actually make the flight! For the rest of us, well… we sat on the two coaches for about four hours before being able to get off the motorway and each bus appeared to go off on separate ways to attempt to get to the airport. 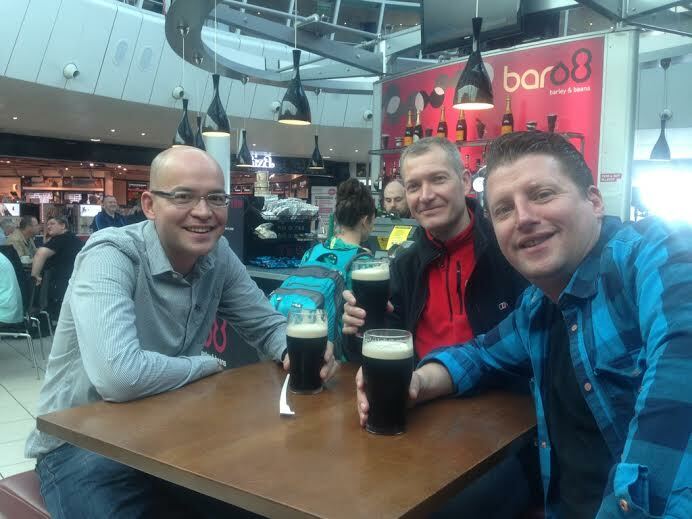 We had missed the Ryanair flight by miles. What would happen? Would the trip be cancelled, letting down the audience, promoters etc? Would other flights be available? Never a dull moment on tour eh?! The RLPO have been touring all over the world for years and during that time have got up from all kinds of disasters, including players being left behind in foreign climes, coaches not turning up and worse… Spirits on the buses remained high and our coach was enjoying the ridiculous route we were forced to take which included going all the way to Knowsley Safari Park! 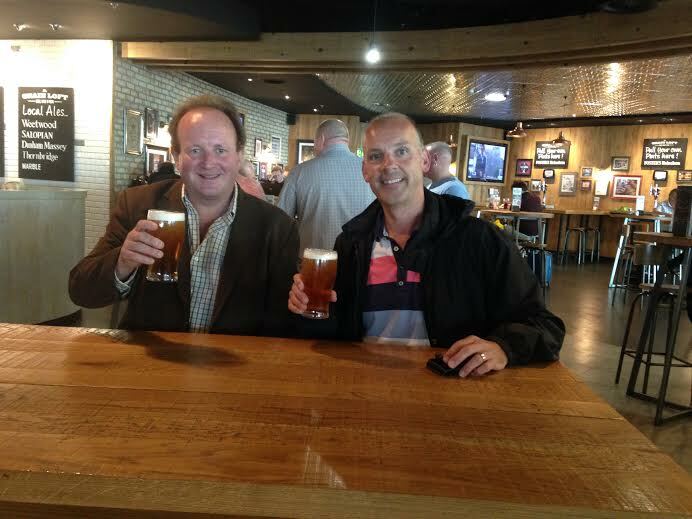 Rhys Owens (Section leader trumpet) and Brendan Ball (Principal Trumpet) talking tactics at the airport! 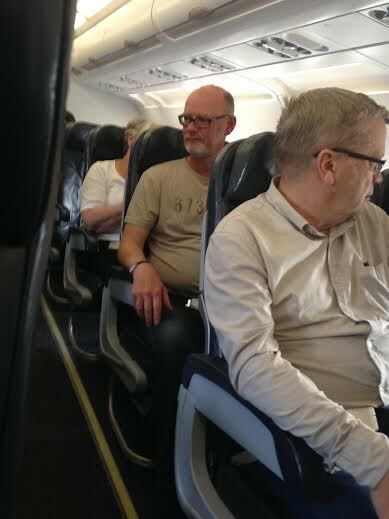 RLPO sub Principal viola Rob Shepley looking chilled to finally be on the plane. News filtered through to our bus that we were still going to Dublin and Ryanair had placed our bus on two flights to Dublin at 3.30 and the other bus had gone back to Liverpool Airport as Ryanair had managed to fit them onto the 4.00pm flight to Dublin. All for no extra cost apart from the eight of us re-routed onto Aer Lingus. Phew! The repertoire on offer this evening was Tannhauser Overture and Venusberg music, the Glazounov Violin Concerto with Ning Feng as soloist (Ning Had missed half of his rehearsal the day before because of similar problems) – interval – the concerto commissioned for our prestigious percussion section ‘Poltroons in Paradise’ by Stuart Copeland (formerly drummer with The Police), an unusual piece called Reverie by Scriabin and the concert ending with Capriccio Italien by Tchaikovsky. Sometimes difficult circumstances make people really come together and I thought we played really well. The standing ovation was especially pleasing, as was Vasily standing up the trumpet/cornet section first of all at the end. I am the Principal Cornet by the way and I do use a cornet. An American Vincent Bach Stradivarius with British style shepherd’s crook and a Bach 1C mouthpiece (for the trumpeters out there). Nice one Vasily! Wow! 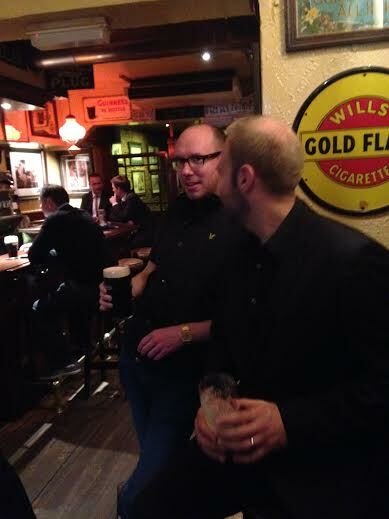 A success deserves to be celebrated in true Irish style with a couple of pints of Guiness. 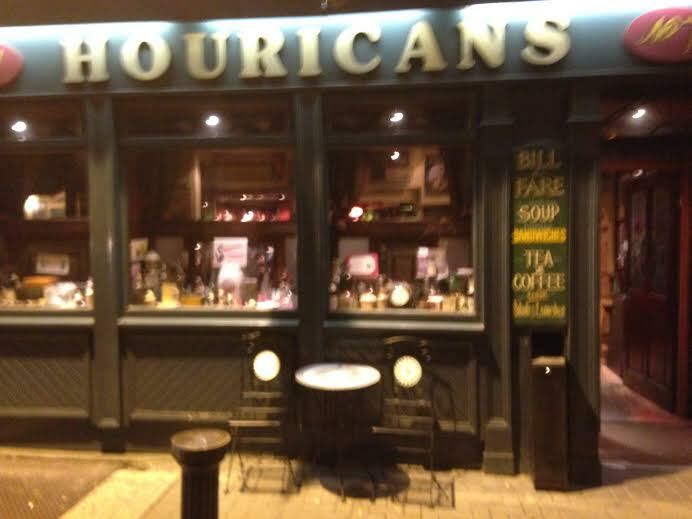 Houricans is a famous haunting place for musicians in Dublin. We all headed for there. A proper Irish traditional pub and worth a visit from anyone in town. The trumpet section for this tour was our regular team; Rhys Owens, Paul Marsden and myself: with the addition of regular freelance player Neil Fulton. Dublin is a fond place for me to visit. In a previous incarnation I used to visit the Emerald Isle on a regular basis as a freelancer to work with a very fine orchestra, The National Symphony of Ireland. This is the symphony orchestra of RTE, the radio and television company of Ireland. The RTE also has a very fine ‘Concert Orchestra’ for the lighter programmes. Left to right – Brendan, Graham Hastings, Killian Bannister, Paul Marsden and Rhys Owens. Fixers could do worse than have a look in this pub! Well, keep your eyes peeled because we go to London and then a big tour to six cities in China. Champion! I may try to find you just to say ‘Hi!’ after the Shenzhen concert … if I feel courageous enough. I remembered that Twitter is blocked on that side of the border. Can’t believe it’s tomorrow!! Yes – still excited! !